Following the release of the adidas Superstar “Valentine’s Day”, adidas continues to rework some of its timeless silhouettes, this time with a Stan Smith. 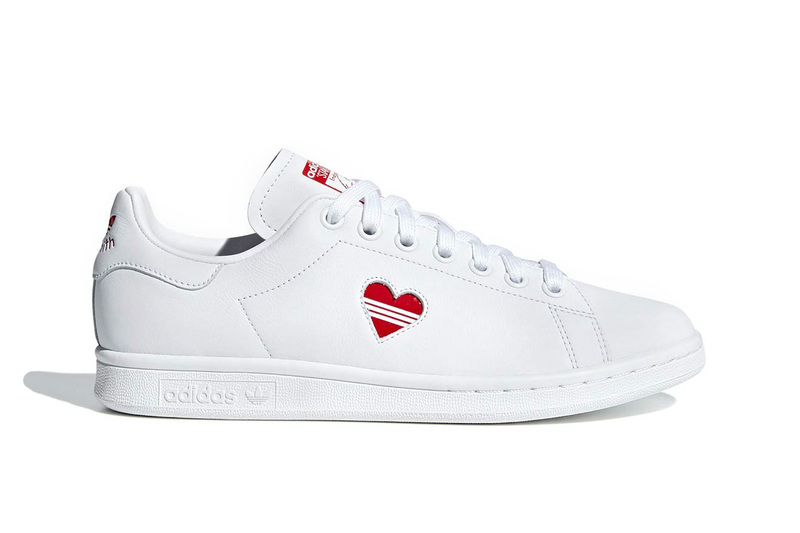 The sneaker goes for a clean all-white approach, featuring a small red heart graphic on the lateral side of the midsole — the Three Stripes branding also makes its way into the heart. The red heart graphic is also present on the insole of the shoe, and to finish limited release, touches of red accentuate the tongue and heel branding of the shoe. Priced at $100 USD, the sneaker will release on February 4 at adidas.com and select retailers. In other footwear related news, Verdy just teased a new colorway to the upcoming Girls Don’t Cry x Nike SB Dunk Low. Featuring a tactical vest that doubles as a pillow.